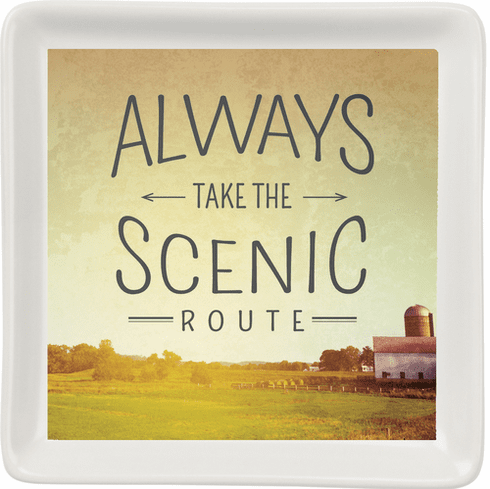 A wanderlust-inspired stoneware trinket tray featuring an "Always Take The Scenic Route" sentiment. A good reminder for us all....our theme here, life is short, stop and smell the roses and always take the scenic route! !